I'm always looking for new recipes to try. Especially those that can assist me while on my weight loss Journey. A couple of months ago I tried lemon turmeric lemonade and it was okay. I guess it was so weird to me because I felt as if I was sipping on a seasoning. Kinda like sipping on parsley. If that makes any since. Throughout the last couple of months, I learned a lot about turmeric and all of the wonderful benefits it has. I decided to revisit the idea of incorporating turmeric in my diet and felt as if that a turmeric shot would be more of my speed. I love that this recipe includes all natural ingredients and it was super easy to make in my Vitamix Blender. My first time making this recipe I made a small batch and stored contents in an up-cycled glass bottle. I consistently took a shot daily and I was really impressed with this recipe. Overall, I plan to have this recipe on rotation. I love all of the benefits that it has. 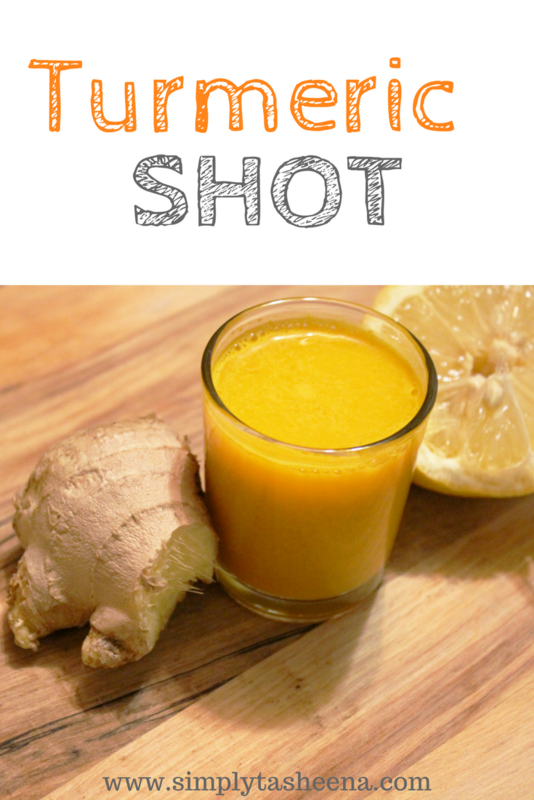 Have you tried s turmeric shot before? Oh yum, I'd give this a try. I keep hearing how great turmeric is but I have yet to try it. I had my very first turmeric latte the other day and it was a pretty magical experience, I must say. :P I'm definitely interested in giving this recipe a try! So many healthy benefits packed in to one shot! I have not tried it yet but so many people swear by it and how great it is. There are so many benefits I should just try. I would totally try this. I'm in love with coconut water its so delicious and good for you, this recipe sounds refreshing. Oh, never tried turmeric - ginger -honey together apart from when I have in cough! But this seems to be an interesting shot with coconut water, shall try for sure! I definitely want to give this a try. I don't lemon water all the time, but it would be nice to change things up from time to time. I never tried anything like that before but it looks like it has so many benefits! I will have one this weekend! I have not tried too many things of Tumeric. I know it's in cooking things but I hadn't heard about it's benefits. That's great. I will have to see where I can incorporate it. Oh looks so delicious! i need to try. I have not tried it and I would be the same.. Thinking t is a cup of seasoning lol! I would like to try this out, it would be quite hard for me to get past the taste of ginger though, I don't know what turmeric tastes like.